Getting the right medication at the right time is critical to your health, whether you are recovering from an accident or managing an ongoing condition. Let your Medicine Shoppe® pharmacist help you make sure your medications are working their best for you. If you take multiple medications, ask us about a comprehensive medication review. Many health care plans, including some Medicare and Medicaid plans, cover medication review costs. During this review, we will discuss your current medication schedule, look for concerns, such as therapy duplications or conflicts, and answer your questions. We will also look for cost-saving alternatives to your current regimen. 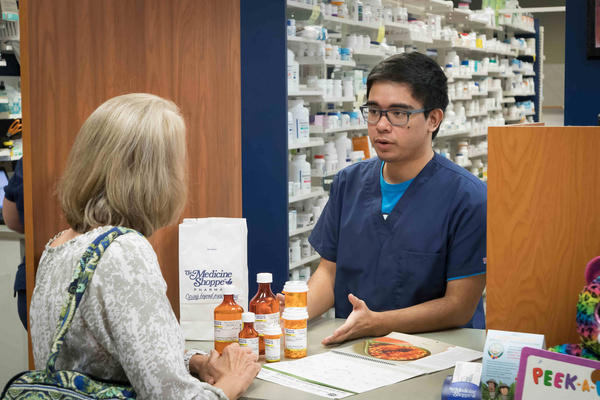 You will leave our pharmacy with an updated medication list and a personalized action plan so you can achieve the best results.